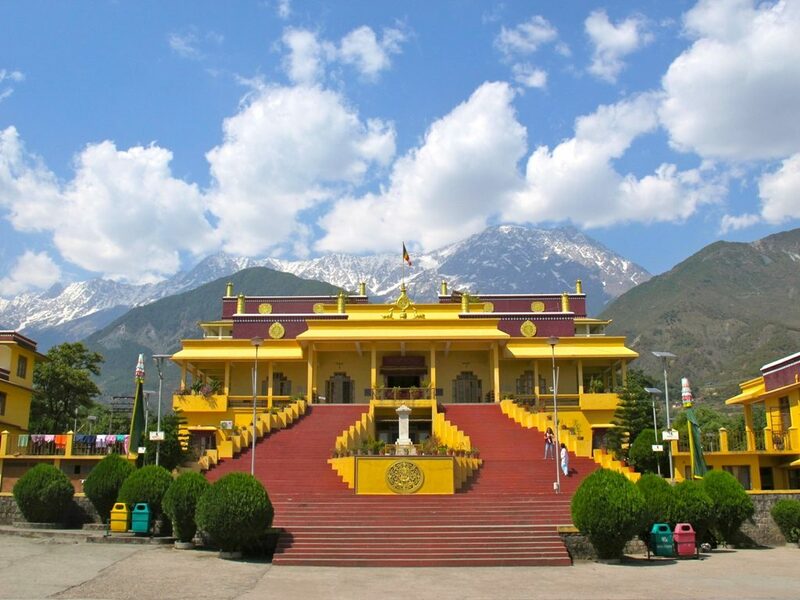 Mcleodganj is a holy city in Dharamshala, which is famous for many attractions including the Dalai Lama temple. This temple is also called as Tsuglakhang Temple. Dalai Lama visits this temple twice or thrice every year to preach and bless. Thus, the temple gets its name as Dalai Lama Temple. If you are lucky enough to visit the temple during his visit, you can listen to his preaching. Very close to the residence of Dalai Lama, this temple stands as an important pilgrim spot. This temple is famous for providing religious teachings. The most important feature of this temple is the morning ritual. This is a very peaceful temple to visit for sightseeing and meditation. Once you enter the temple, you can find a few lamas in the way. A few shops inside the complex that sell ritual items and books. This temple is the frequent preaching spot of Dalai Lama. When he fled from Tibet, the then Prime Minister of India allowed him to enter the country and form his residence in this region. In the past, Mcleodganj was an important retreat area for the British and today, it has become an important pilgrim spot of India. What to explore at Dalai Lama Temple ? Once you enter through the gate, you can find a small memorial monument. Beyond the monument, you can find a few sets of staircases that will lead you to the main temple. You can always find monks in red and yellow walking around in strict coordination. Inside the temple, you can find a statue of Buddha sitting on a carved pedestal. Pilgrims walk around the statue in clockwise direction as they rotate the prayer wheels. There is a large hall inside the temple for people to meditate. The temple is open from 8 am to 8 pm. People of all religion and creed can visit this temple. The temple will be at prime beauty throughout the year. The best time to visit the city is from September to June. The winter starts in October and ends in March. The temperature will be very low making the place look like a winter fairytale spot. Summer is pleasant, vegetation will be lush and it is the best time to visit the place if you are looking for a retreat spot. Monsoon starts in July and ends in August. The place receives very heavy rainfall, which can cause hurdles in transportation. Many other attractions will be closed during this season. However, the temple is open throughout the year. How to reach Dalai Lama Temple ? Mcleodganj does not have any airport. The nearest airport is Gaggal airport. The nearest international airport is in Delhi. You can easily find flights from Delhi to Gaggal airport. Gaggal airport is located 10 km away from the city. You can find cabs from the airport to the city. Here you find easily government and private buses and private cabs from many important cities to Mcleodganj. You can find cabs from the bus stand to any part of the city. The nearest railway station is located in Pathankot, which is 90 km away from the city. Once inside the city, you can easily find transportation to reach the temple. It is a very famous temple and you can find cabs from any part of the city. You can hire buses to Mcleodganj bus stand and from the bus stand; the temple is within walking distance. 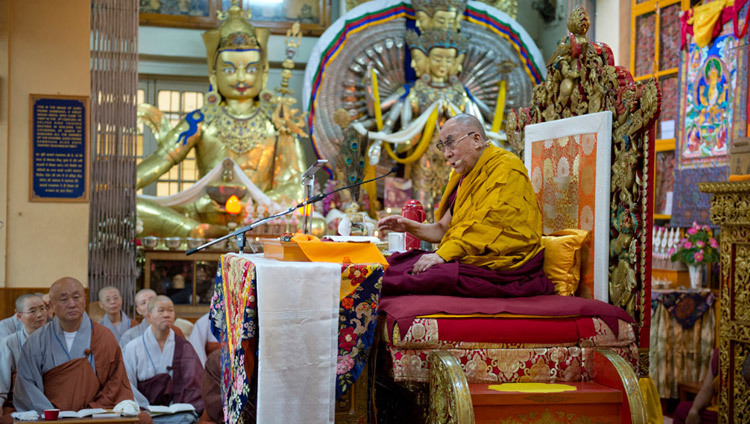 Dalai Lama visits the temple at specific dates. If you are visiting during one of those days, you need to purchase a ticket to watch the teaching. You can listen to it either directly or through a radio. He speaks in Tibetan language. You need an English speaking Tibetan translator to help you understand. Here inside the temple as long as you desire. People meditating with prayer beads. You can purchase those from the stalls inside the complex. You can always speak with the lamas inside the temple to learn about meditation. Prayer wheels are rotating cylindrical wheels with Tibetan prayer mantras inscribed on it. As people walk around the temple, they push the wheels to rotate it. It is a part of the rituals of this temple. There is a large library inside the temple. Tourists can read from the collections in the reading area. Very few books have English translation in this collection. Within the temple complex, you can find a small museum. It holds rare photograms of Dalai Lama, Tibetan culture, martyrs and others. This museum is found near the entry gate. There are also pictures of how Dalai Lama escaped from Tibet. A short video about the culture is played in the museum. 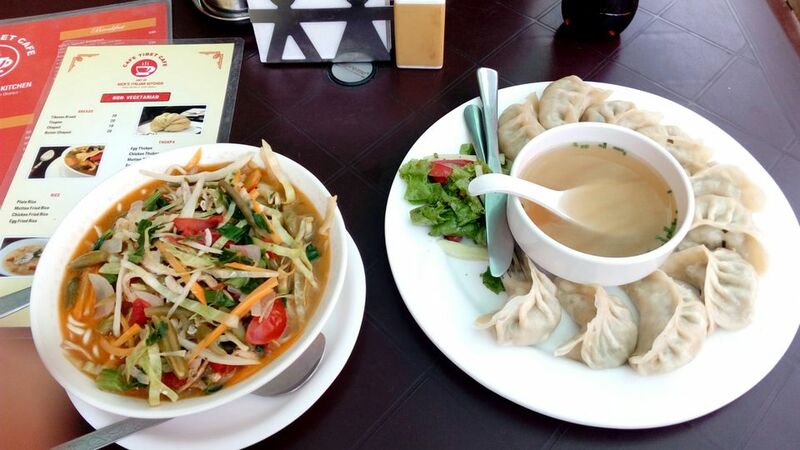 What to eat at Dalai Lama Temple ? There are no food stalls inside the temple. Just outside the complex, you can find street vendors selling hot momos. It is a delicious snacks sold in many places in the city. Mobile phones and cameras are allowed inside the temple, So make sure that you do not disturb the rituals and other pilgrims. The temple is a very important attraction and is located very close the main market. You can easily find cabs from any part of the city to this temple. If you are visiting in your own car, you can park the car in the parking area opposite to the main gate of the temple. Toilets are available inside the temple complex. If you are visiting during Dalai Lama’s visit, you ought to buy tickets through online sites for hearing his teachings. When Dalai Lama Temple is present, you will not be allowed to take any electronic item with you. A booth will be present outside the temple where you need to place all your belongings.